Creative entrepreneurs tend to be very passionate about their work, but not so passionate about accounting and other administrative tasks required to manage a small business. As an small business advisor, my role is about helping entrepreneurs to remove the frustration of day to day business management. Also to help standardize and streamline workflow processes to manage the business efficiently. In order to do this, it helps to creating a digital and mobile, design-driven ecosystem that integrates with cloud-based technology tools and automates as many manual processes as possible. In short, finding ways to free up valuable time that allows these entrepreneurs to do what they do best and do good work. In my experience working with small business clients, it usually makes more sense for them to engage others like myself to provide and support them with accounting and administrative type software and services they can use. Using a comprehensive, integrated suite of cloud based apps that’s customizable to fit the needs of creatives is key to efficiently performing the business operations. A software platform like Zoho ONE is an ideal business solution since it’s one integrated platform to manage the entire business. 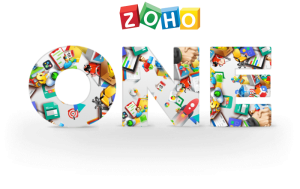 At the heart of it all is Zoho ONE! 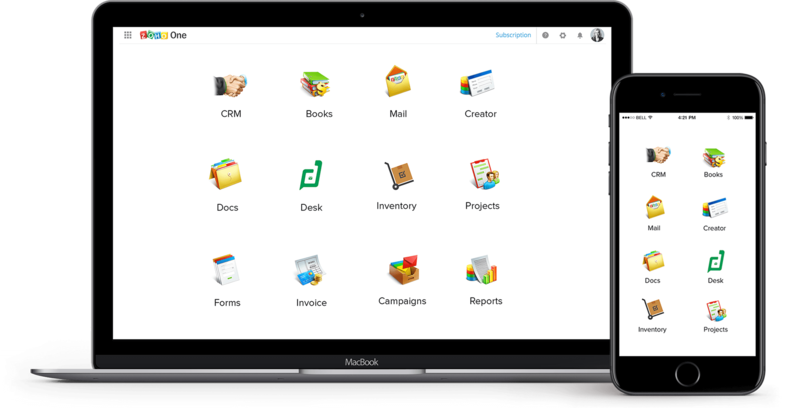 Zoho ONE allows you to get things done efficiently and helps to increase productivity in all aspects of your business. This allows you to focus on what you do best. Starting with these core apps of Zoho Books, Zoho Expenses, Zoho Projects, Zoho CRM and Zoho Reports, you have access to insightful and important decision-making information to help to transform your business operations. Make Accounting Simple. Reduce Time and Stress with Seamless Integration. Zoho Books is a double entry accounting system which automatically creates all related financial transactions whether it involves your customers, suppliers or managing your cash flow or financial management reporting. Furthermore, Zoho Books allows you to integrate seamlessly with Zoho Expense, Zoho Projects , Zoho CRM and Zoho Reports. Work smart. Save time. Capture all Reimbursable Expenses. Streamline your back office tasks with Zoho Books and Zoho Expense, and organize all your transactions in a single place. Always remain up-to-date on your outstanding invoices and bills and expenses. Communicate and Collaborate. Get things done efficiently. People are critical to every business. Be it your customers who bring in the money, your employees who help you run your business efficiently or the vendors who supply you with products or services, Zoho CRM with Zoho Books helps you manage them all. Run Timely Decision-Making reports in seconds. Understanding your business performance is the key to growing your business. The powerful analytics in Zoho Books help you see your receivables, payables, cash flow, income, and expenses right from your dashboard. Focus on Creative work. Waste less time. So go ahead and take Zoho ONE for a test drive. Sign up for a Free Trial!